Ask any employee in any department anywhere how they feel about employer branding and they’ll probably agree it’s important. 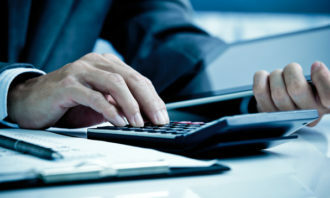 But when it comes to the question of who’s responsible, how to do it, and where to invest, things can get complicated. For companies just starting out, or those curious what others are doing, the latest annual Employer Branding NOW report by Universum can offer some inspiration. The report includes responses from nearly 2,500 HR managers, marketing managers, talent acquisition, recruiting and resourcing managers from 50 different countries and 35 different industries. Findings are divided by small (1-999), medium (1,000-9,999) and large organisations (10,000+) as well as the World’s Most Attractive Employers of 2017 (WMAE). 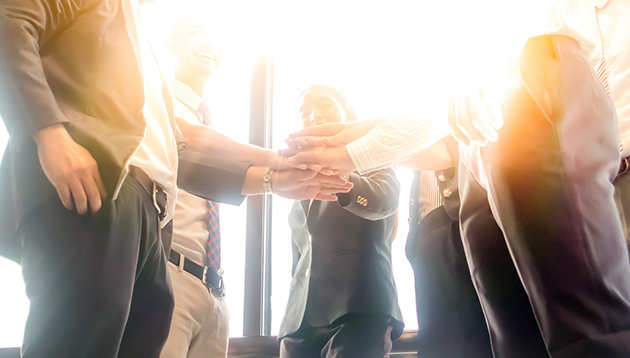 According to the findings, employers of all sizes are investing in employer brand strategies. 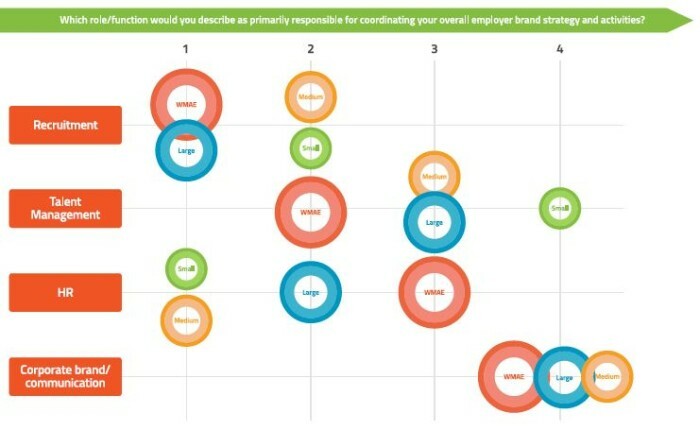 When asked which department primarily owns employer brand strategy development and activities, HR and recruitment were favoured over corporate brand/communication functions. However, the majority of respondents agreed that the ultimate accountability for the health of the employer brand sits with the CEO. 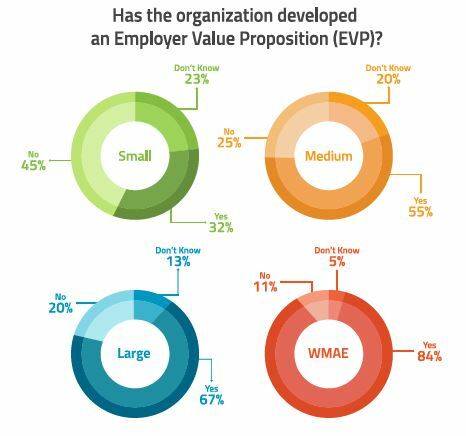 When it comes to developing an employee value proposition (EVP), the WMAE group leads the way with 84% of them having an EVP in place. While the majority of medium to large companies also indicate to have developed an EVP, small companies lag behind. For them, the most common challenge was simply finding the time. Similar to last year, social media is where most companies plan to focus their employer brand marketing investment for 2017. 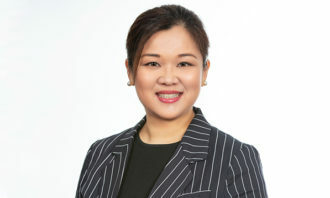 Aside from leading the way in the EVP field, the world’s most attractive employers also differentiate themselves through a greater focus on talent segmentation and local tailoring. 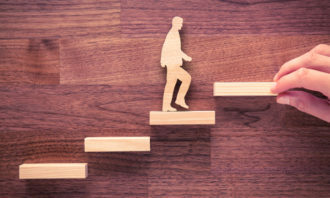 Tailoring employer brand activities to different target audiences has risen to one of the top three priority objectives for these leading employers, and 60% of them say they have developed target profiles for different talent segments. They’re also more likely to be developing targeted campaigns for these different talent groups.